On the eve of the start of the new school year, for the second year in a row, Catholic schools and all non-state schools in Lebanon begin classes in a situation of serious crisis, which has been at the center of the work of the XXV Annual Conference of Catholic Schools, which began Tuesday, September 4, at the Antonine Sisters school of Ghazir. The situation was reported by Fides News Agency. This year the conference focuses precisely on the problems that put at risk the continuity of the presence of Catholic schools in the current Lebanese context: from 2005 to 2018 at least 24 Catholic educational institutions were closed, and in the last two years the prospect of failure looms over the future of a growing number of schools run by religious congregations. What made the continuity of the educational service offered by many Catholic schools unsustainable from an economic point of view – as was reiterated by all the speakers of the Conference – was the law with which in the summer of 2017 the government at the time ordered new “salary grids” for workers in the public sector, including the school sector. The salary increases imposed by new government rules, which immediately came into force for state school teachers, represent a serious problem – still unresolved – for the financial sustainability of the entire reality of Lebanese private schools. As reported by Fides, the Maronite Bishops already in early September 2017 had asked the government to review the mechanism of the salary increase set in motion by the new rules on the salary grid or to take charge of the costs foreseen to also finance the increase of salaries for private school teachers. Since then, all the initiatives taken to sensitize political institutions to find solutions to the Lebanese educational emergency have not been successful. The vast majority of private schools have not yet fully implemented the law, which provides for the increase in teachers’ salaries, to avoid having to increase the fees and contributions paid by the students’ parents. The authorities have so far ignored requests for subsidies from private schools run by the General Secretariat of Catholic schools. The crisis – as pointed out in his speech by Hanna Rahme, Maronite Bishop of Baalbek – has increased discord also within the educational community, fueling conflicting attitudes. 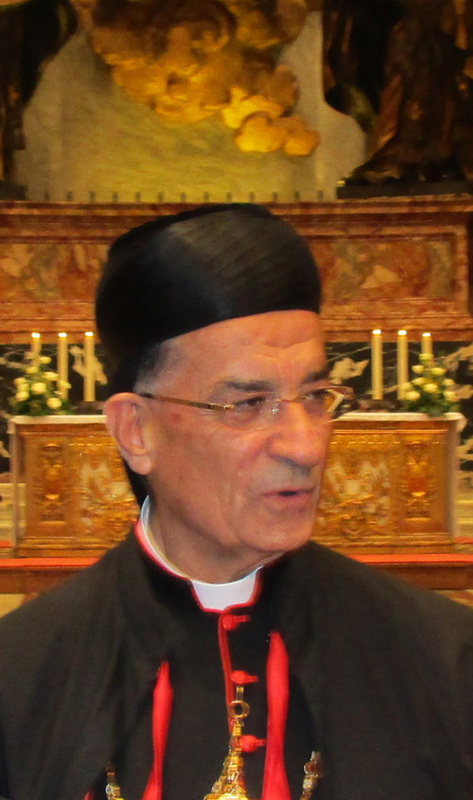 In his speech, Maronite Patriarch, Béchara Boutros Raï, starting from the problems of the schools and the lack of adequate responses from the political institutions, used very harsh words towards the Lebanese political forces, accusing them of pushing Lebanon to an almost total paralysis, preventing economic growth and reforms, fueling corruption and giving rise to a sectarian and partisan management of national institutions and resources. “This regime”, said among other things the Patriarch, referring to politicians “allows them to remain in power and divide shares, vacancies and wealth of the state, while excluding the non-partisan majority of the population”. The Primate of the Maronite Church also recalled “the duty of the State to help the students’ parents who have chosen a private school, in a socio-political situation in which the economic crisis and rising unemployment rates also push many middle-class families towards poverty. During the conference the service rendered to the construction of the entire Lebanese nation by Catholic schools was strongly recalled, real educational presences committed to instilling an attitude to solidarity in younger generations among different religious communities and the application of the principles of citizenship and the fight against sectarian discrimination.